Encore! 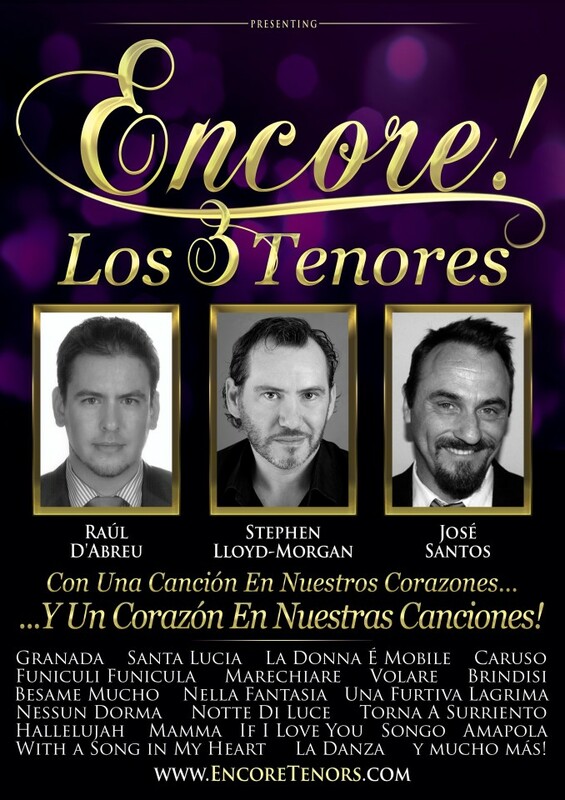 The 3 Tenors – Los 3 Tenores – new cast 2014 | Marbella Marbella – Adelante! We are delighted to announce our new cast for our 2014 productions of Encore! The 3 Tenors. Encore! will be joined by the popular and amazing Spanish tenor José Santos, who has a string of leading classical and musical theatre credits to his name. Encore! The 3 Tenors with Stephen Lloyd-Morgan, Raúl D’Abreu and José Santos. At some performances they will be joined by special guest soprano Julie-Anne Hunter. Also we are pleased to announce our new cast for our 2014 productions of West End Musicals in Concert and The Best of Broadway. West End Musicals in Concert will be joined by the popular and amazing Spanish tenor José Santos, who has a string of leading musical theatre credits to his name and will sing in both English and Spanish. West End Musicals in Concert with Stephen Lloyd-Morgan, Adele Lee Peters, José Santos, Lucie Indrisie and other special guests. The Best of Broadway – celebrating the golden age of Broadway will be joined by the amazing soprano Julie-Anne Hunter who also has a string of musical theatre credits to her name. The Best of Broadway with Stephen Lloyd-Morgan, Adele Lee Peters, Julie-Anne Hunter, Lucie Indrisie and other special guests. Following the phenomenal success of last year’s shows, this year the productions will mainly be large scale theatre style shows, although there will still be some after-dinner shows. The productions will run from May to September, both on the Costa del Sol and throughout Spain and uniquely will have casts of 4, 5 or 6 singers. The revised and updated shows will all include special guests, from both locally and the UK. Dates and venues to be announced soon. The casts of West End Musicals in Concert, The Best of Broadway, together with Encore! 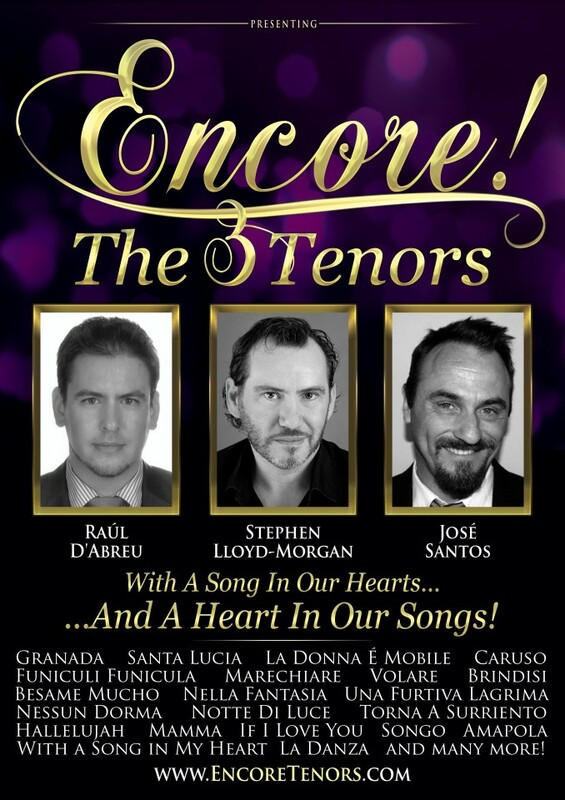 The 3 Tenors will return for a second year to stage a show at the Starlite Festival Marbella in July for a compilation of all 3 shows in ‘Music of the Night’.